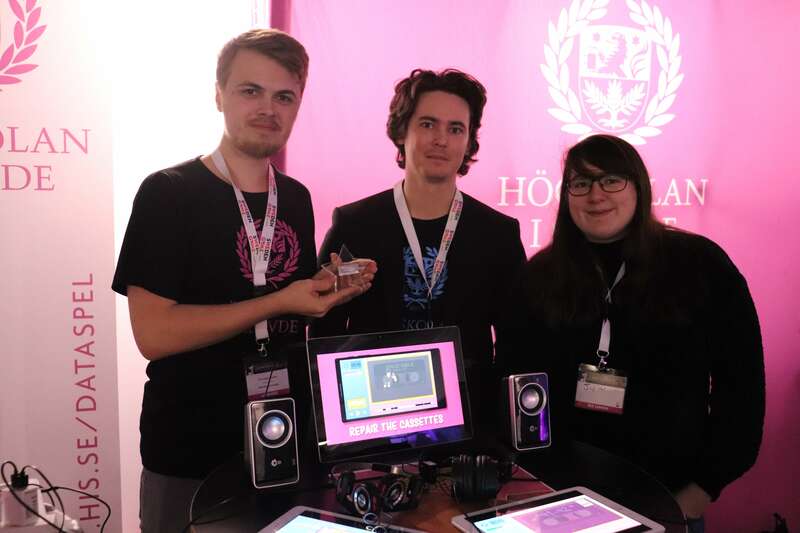 Recently, I went to Sweden Games Conference — a large gaming expo and conference in Sweden. Each year, they organise loads of speakers and game developers to showcase and talk at the event. This is the second year that I have gone; I gave a talk, judged the Big Indie Pitch, and judged the Nordic Discovery Contest. With so much going on, the week went by in the blink of an eye, but I still took some time to play games and pick out a few stars. Minutes to Mayhem is a 4 v 1 multiplayer game where four people play ghosts, while the other plays a grandmother who is sick of being haunted. As the ghosts, you can haunt furniture in the home. Your goal is to drive the grandmother to madness by being near to her but not being found. Larger items move slowly — book shelves and couches — but they affect the grandmother far more than smaller items like apples and lamps, which move quicker. You do have a more limited view of the game in comparison to the grandma, so moving around is tricky business. Staying alive while being near grandma is your goal — but it’s not always an easy task. As the grandmother, you are able to walk around the house with your axe. You can use this to break the furniture around you — hopefully the ones containing ghosts. If you are near something that contains a ghost then your sanity bar will glow. This bar is also slowly increasing yet quickly increasing when near a ghost. If it becomes completely full, you will lose the game. Using your axe, you can kill ghosts, and you can even charge your axe for a super freeze attach, freezing the item you hit. Minutes to Mayhem is a really fun party game no matter what side of the screen you are on. I very much enjoyed playing both the ghosts and the grandma. Unheard is an audio-driven game like no other. You basically play a fly on the wall — a character who isn’t ever directly spoken to or acknowledged while you play the game. It’s your job to listen to various conversations within a police station, identifying who is talking, and figuring out who is to blame in the crimes that have been committed. In any given aware, there are a lot of other characters speaking at the same time. You have the ability to walk around, exploring the world around you, as well as stopping and rewinding the audio that’s being played. The level I played started in a police station which was rather large. You can see various circles, which are other characters who speak and move around in rooms that you are in. 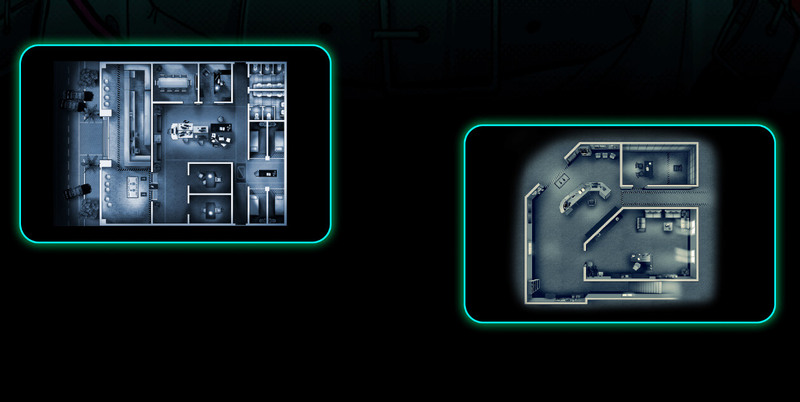 You need to explore the rest of the area to find out where other characters are — but, each room is active on the timeline, even if you’re not in it. This means that you need to dip in and out of rooms and rewinding the audio, to make sure you get the full picture. You are able to assign the character circles names, which help in following them, and at the end of the audio you must solve the case by answering a bunch of questions. Unheard is intense and unique in the best possible ways. The audio, the main focus of the game, is beautiful voice acted and so well done — it creates an experience worth keeping an eye on. Brownie Cove Express is a narrative driven game where you explore various experiences and characters who are travelling on a train. Each cabin in the train has a different character with their own belongings and stories. You can talk to these characters as well as interact with their items; asking questions and wondering about their lives. Sometimes, these characters bring you to different worlds, places beyond the train, back in memories. You become them, trying to play out how their life was before this moment — in a memory they don’t quite recall. Sometimes you end up hearing pieces of a traveller’s work — items they are attached too and working on — in hopes of understand exactly what is going on. Brownie Cove Express feels personal, every character you interact with has their own uniqueness about them. There are so many personal objects in each part of the train – some quite bizarre, and all can be examined and sometimes asked about. Following all of these individual stories, understanding these characters, and looking into a window of their strange lives is a truly phenomenal experience. Cosette’s Cassettes is a lovely story-driven pack of mini-games — where you find yourself repairing cassette tapes. These tapes have been given to a very young Swedish girl. She seems to really love music, and these cassette tapes were a favorite of hers, but now they need repairs. There are various bits of the cassette tapes that completely don’t work. You’ll need to listen to these tapes and repair the bits that are broken by playing mini-games to the best of your ability. These mini-games include jumping over characters, following a line with your finger, and filling in the missing lyrics correctly. Once you have fixed one of the lovely songs on the front of the tape, you get to flip it over to the other side. This side is hand recorded on, allowing you to hear an audio diary of this young girl. The second side doesn’t need repairing, however, you are sometimes given pictures to look at while listening to her story. This touching and adorable story, all voiced by a young girl, really add so much dimension to these fun mini-games. Combining the story with all of the custom songs that have been recorded on these cassette tapes, and their mini-games, makes for a very interesting and fun playthrough. So, as you probably can tell, there are only four games listed in this article. You see, I get these stars made before I go to events, and I aim to hand them all out. 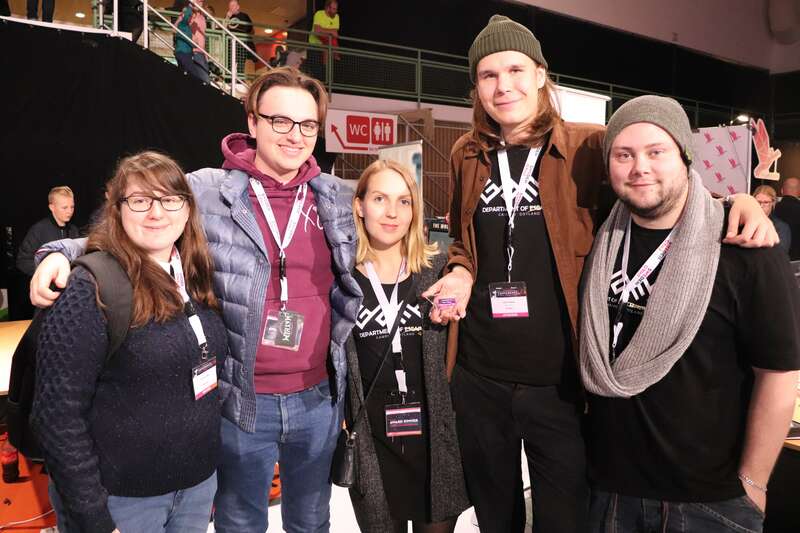 At Sweden Games Conference, I had more to do than anticipated — and I was tired. After the last day of the conference had ended and I went to pack my stuff, I realized I had only given out four of the five trophies. 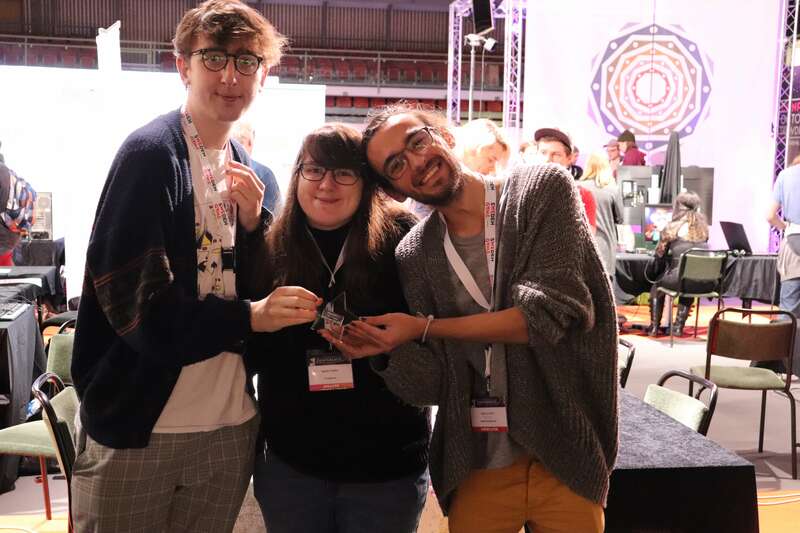 I didn’t have another game to give a trophy too, but to keep it true to the plaques on them, I am going to give an honorary star to SushiYaki Noodle. SushiYaki Noodle is a lovely little restaurant located within walking distance of the convention. Each year, I aim to go to this place and get as much ramen as I can in the few days I spend in Sweden. You see, this place is small and always packed. 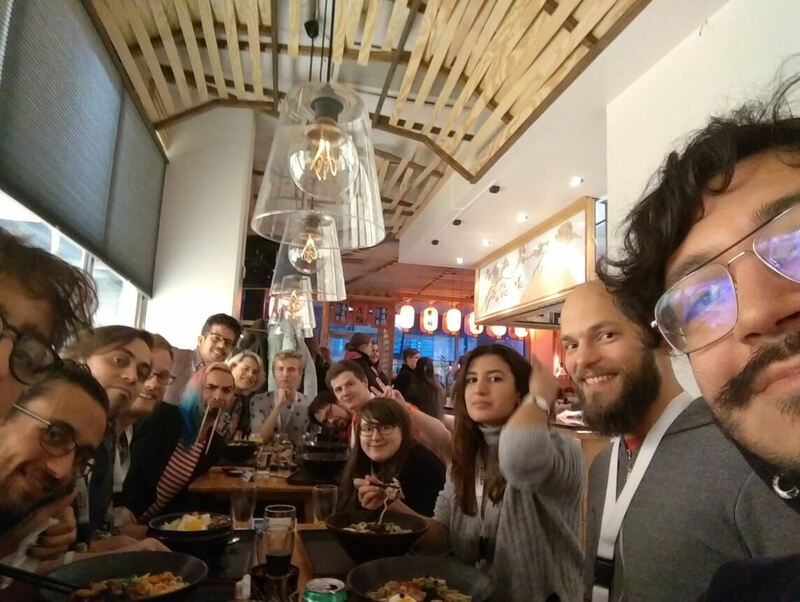 The first day, I normally do a small dinner there, eating some of their delicious kimchi ramen and sushi, planning on bringing a bigger bunch. They have two big tables, which can seat 6 each, as well as two tables to seat four, and a few places that seat two. This year, I wanted to bring around 18 people to eat some of this food, so I tried to reserve the back two big tables. You see, SushiYaki Noodle, each year, says they don’t reserve tables. After some talking (and some language barrier issues) they did let us have the two back tables. For that, I am so grateful. The ramen and sushi at SushiYaki Noodle is so well made — you even get miso with whatever you order, so you can enjoy that while you wait. 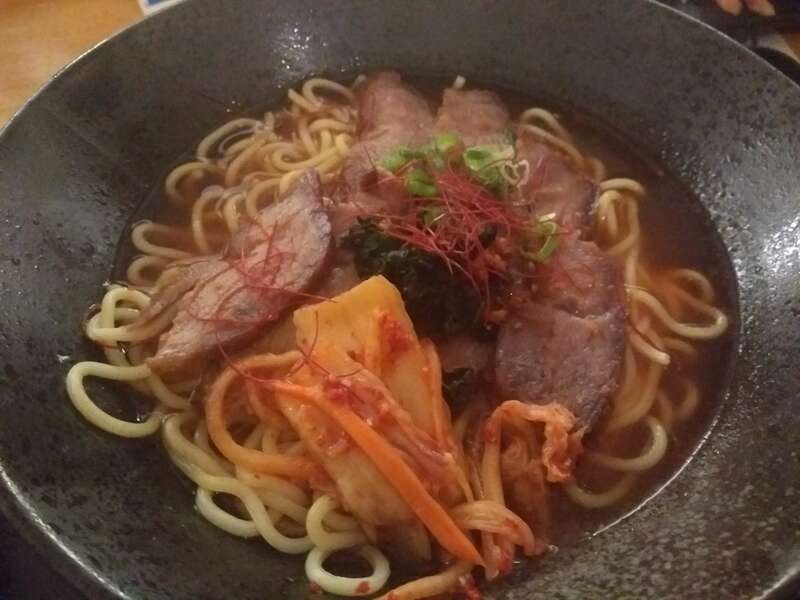 I love Kimchi Ramen — it’s got a sweet roasted pork sliced in it as well as some kimchi on top. The broth is rich, the meal is plentiful, and the entire experience is always wonderful. I am very happy they let me randomly take over their restaurant each year, and for that, they should get a mention in my Star article. And that’s Sweden Games Conference! 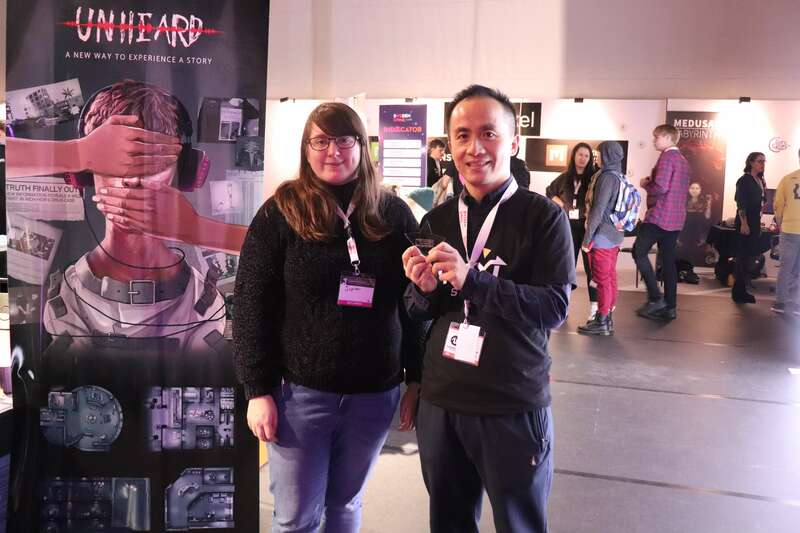 It is always wonderful being able to see games made in other parts of the world, and Sweden Games Conference is a really well ran convention, with so much to see and do. I hope to go again next year — and you should too, if you haven’t been.